Make a cat out of a paper plate! 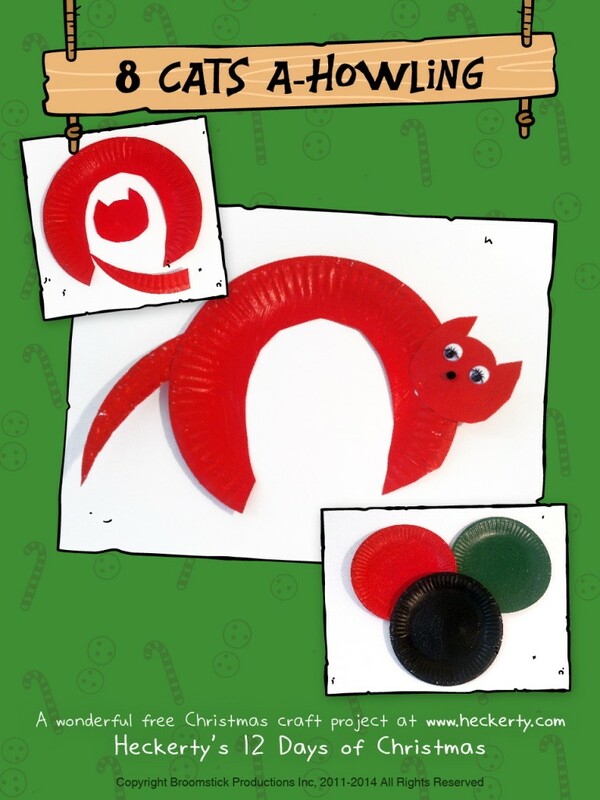 It’s easy and you can make different colored cats (red and green) and hang them together as a Christmas mobile or ornaments! Paint the paper plate black (or red, green etc) and let dry. Turn the plate over to the unpainted side. Cut out the body using the pattern from the url below. Cut out the tail and head from the remaining pieces of plate. Use tape to attach the tail and the head to the back of the plate, using the image as a guide. Glue on wiggle eyes and paint a pink dot for the nose. From the scraps of black plate, cut thin whiskers of equal length. Glue to the cat’s face.